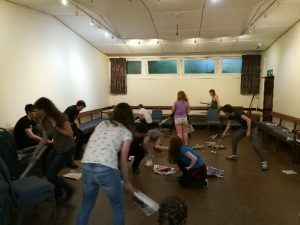 On the 13th-15th Of July 2018 a total of 20 Young Quakers and 5 volunteers met at St.Albans Quaker Meeting House. After journeying from London and further afield on Friday the first priority was food, food, glorious food. We had some jacket potatoes with a tomato/veggie mince. As this was demolished we played some name games; we had a few new people including 5 young people from the local area meeting (Luton and Leighton). After our dinner had settled we played some games, Newspaper hockey (being this author’s favourite) and sardines then we had an epilogue, some hot chocolate and then settled down for bed. Saturday was another beautiful sunny day, we started it in the best way possible with a veggie cooked breakfast. 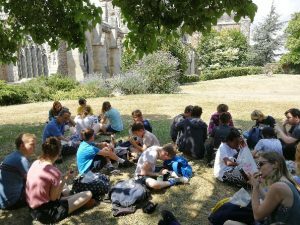 After this was cleared up we made packed lunches, had a bit of free time and then walked to the grounds of St.Albans Cathedral. There we had a picnic in the shade and relaxed for a bit chatting, playing uno and generally enjoying the sunshine. 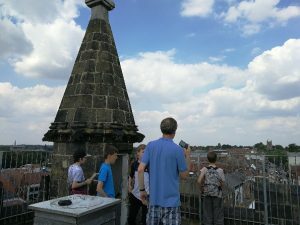 We then split into groups and either went round the town, seeing the sights or doing a bit of shopping, some of us went to the local swimming pool. As many have done before, we gathered under the market clock tower in St.Albans. 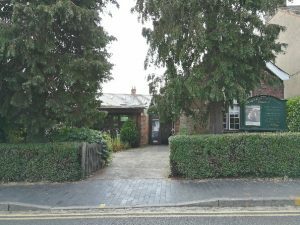 From there we walked back to the meeting house where Michael and Katy ran a session on ‘well-being’, discussing some of the training that they had recently received via an FSSE training day. We talked about what strategies people used to relax as well as remembering to celebrate our own successes, to this end we all wrote something that we were proud or glad of having done, we then gave out the stationary packs that Children and Young People section of Britain Yearly Meeting as prizes for everyone. Some games were organised including Empire, Sardines (again), Bannagrams, cards and various others until it was time for dinner. The dinner was London link’s first furore into mass curry making, we had Saag, Aloo and brinjal bahji curries with rice to choose from. 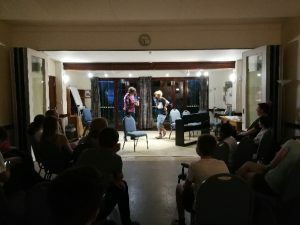 we had lots of fun and excellent performances, ranging from telling jokes, playing the piano, the titanic on the kazoo and recorder and a rap about Junior Gathering. 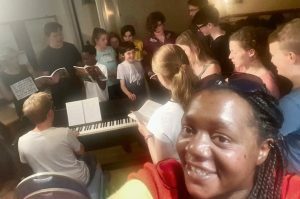 At the end of the night we gathered round the piano and had a sing song, an eclectic mix of Beatles, rounds, Quaker songs and rounding off with Taizé which lead into epilogue. On Sunday we were all up early to get the meeting house ship shape, ready for the local Quaker meeting, we packed our things away and had breakfast, and then what can only be described as a-power-ballad-driven-cleaning montage happened much to the delight of everyone (especially the volunteers I think). Some of the group stayed in Meeting for the whole hour while others went with a group to the park. Some lunch and free time and all too soon it was time to go home. We’d like to thank St.Albans Meeting, the volunteers and the young people for a fantastic weekend.